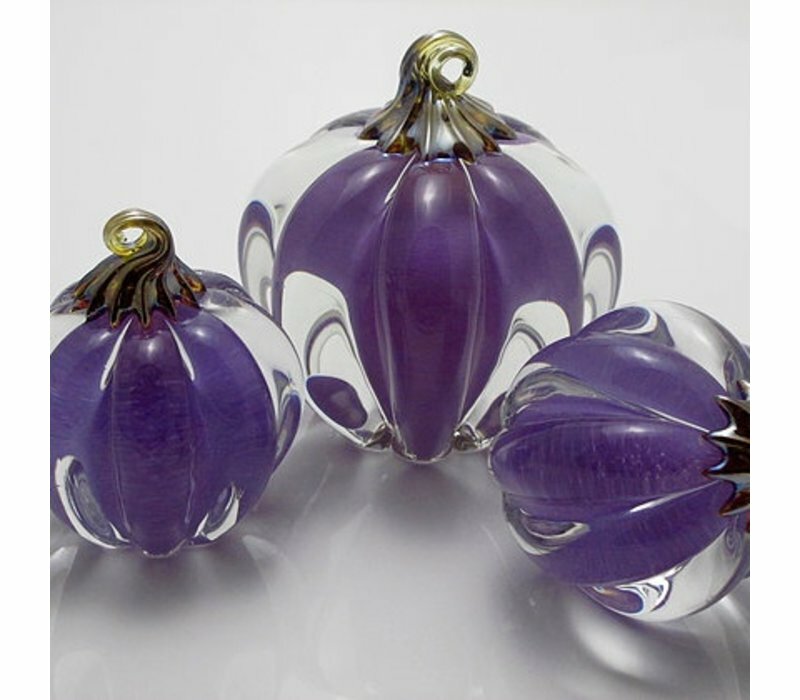 These heavy glass paperweights are handblown with an opaque purple core and a unique silver brown stem. colored core, which captures the light and accentuates this original design. Each pumpkin is hand made and marked on the bottom with a custom stamp. 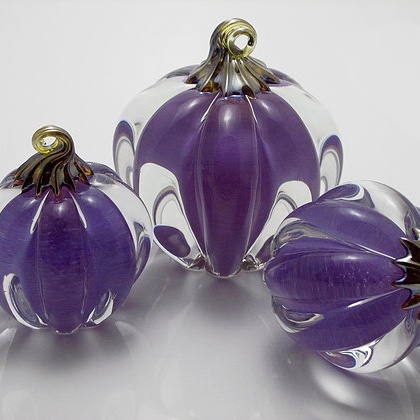 Great for the pumpkin lover who would like to enjoy their own pumpkin patch year round!